DaiMon. 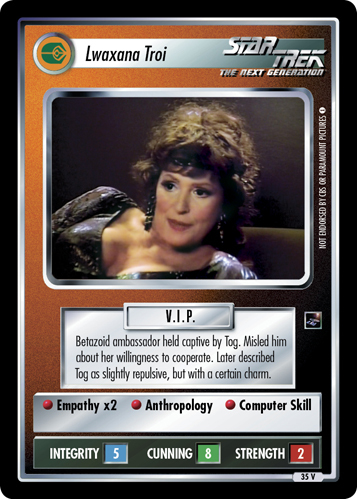 Presented flowers to Lwaxana Troi. 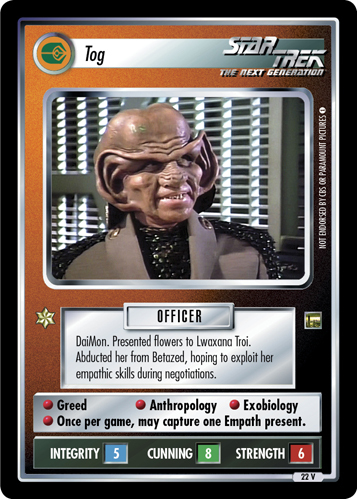 Abducted her from Betazed, hoping to exploit her empathic skills during negotiations. She called him a "toad-faced troll." • Greed • Anthropology • Exobiology • Once per game, may capture one Empath present.